A breath of fresh air with CBM’s “aircon” offer! With the end of winter in sight, now is the time to do maintenance on air-conditioning systems. 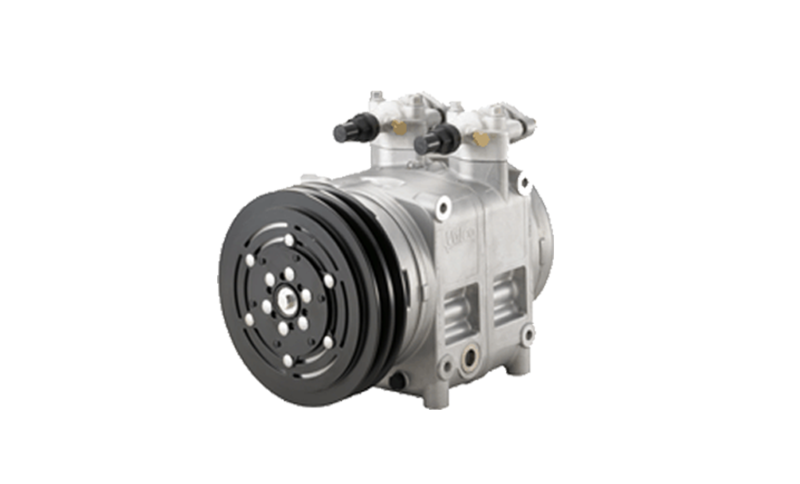 CBM offers a comprehensive range of products for the maintenance and repair of the air-conditioning systems of your transport vehicles, including the latest TM-65 compressor developed by Valeo. Cabin filters, compressors, fans, dehydrators, condensers, refrigerant oil, clutches, glands, belts, regulators, evaporators, control boxes, and more. CBM has a full range of maintenance and repair products to service the air-conditioning systems of your buses, coaches and trams, from major brands such as Eberspacher, Konvekta, Hispacold, MCC, VALEO, GEA BOCK, Bitzer, Sanden, Spal, Denso, Carrier, Linnig and Lang, amongst others. Increased cooling ability with a compact size and light weight. Better watertightness and silent operation. For more than 30 years, the CBM Group has been satisfying the maintenance needs of urban and interurban transport vehicles such as buses, coaches and trams… drawing on its system of efficient logistics. From its seven logistics hubs across Europe, North America and Australia, CBM provides the direct delivery of your spare parts to Europe, the Middle East, North America and Australia in less than 48 hours.